See Detective Derek DD0112b notes below. 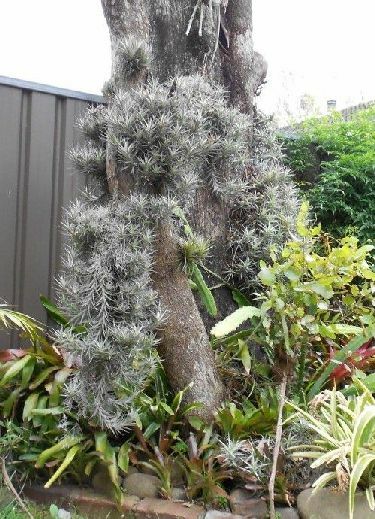 Plant obtained in September 1999 growing in the fork of a crepe myrtle tree at a vacated house in Whalan NSW, a suburb of Blacktown City, west of Sydney. 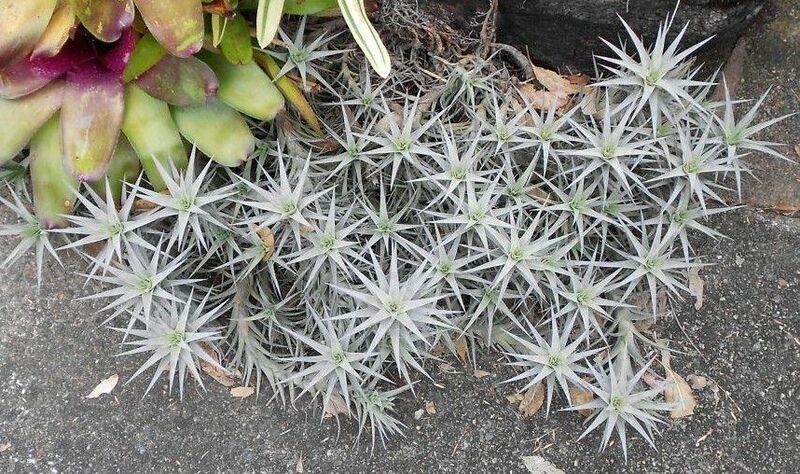 It was well established and looked like a silver leaved T. bergeri and when it flowered 12 years later it was a T. bergeri! 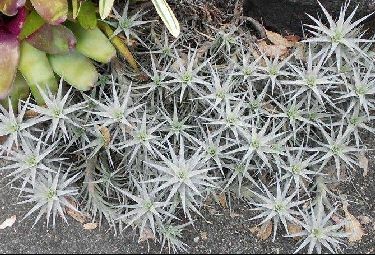 The plant is very heavily trichomed and takes on a silvery purple hue in strong sunlight and seems even more vegetatively prolific than T. bergeri. 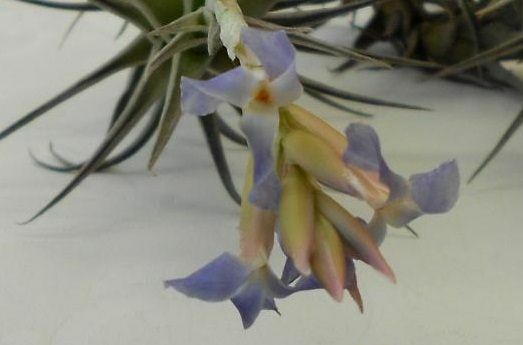 Unlike the ‘normal’ T. bergeri which flowers reliably every year due to frosty winters, this plant had to be forced into flower with a ripe apple in a plastic bag for 2 weeks in Oct. 2011. 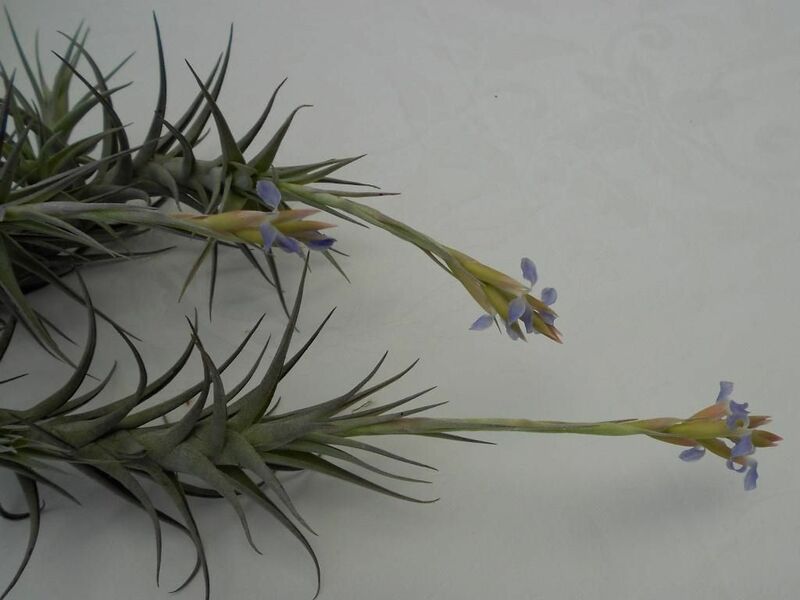 The plant does elongate but generally stays at about 10-12 cm diam. and can grow to a length of 30 cm. and over a number of years to nearly 1 mtr. We will never find out its true origins and if it were a hybrid what would be the other parent? In all other respects it agrees with the description of a somewhat variable species.